Chorizo is delicious in many recipes. It adds a savory, earthy and spicy flavor to many dishes, from soups to appetizers. I recently came across this recipe in a book that I think will become a favorite: Viva Vegan! by Terry Hope Romero. This is her recipe for Chorizo Seitan Sausages. It is a simple but delicious recipe. In a bowl, combine the broth, tomato paste, oil, vinegar and the garlic. Whisk to combine. 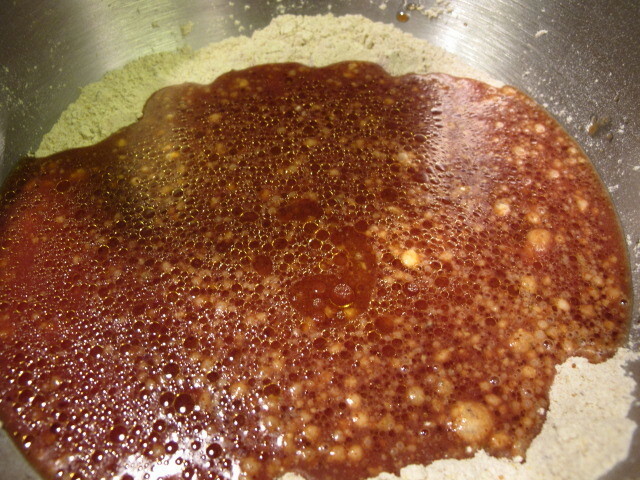 In a separate bowl (I use my KitchenAid stand up mixer), combine the wheat gluten, chickpea flour, nutritional yeast, pimentón (smoked paprika), chile powder, oregano, cumin, cayenne, coriander, salt and pepper. Mix and form a well in the center. Pour the liquid ingredients into the well and stir with a rubber spatula until the dough separates from the edges of the bowl. Knead the dough by hand for 3 minutes or use the dough hook on your mixer for about 2 minutes. Let the dough rest for 10 minutes. Knead again for 2 more minutes. 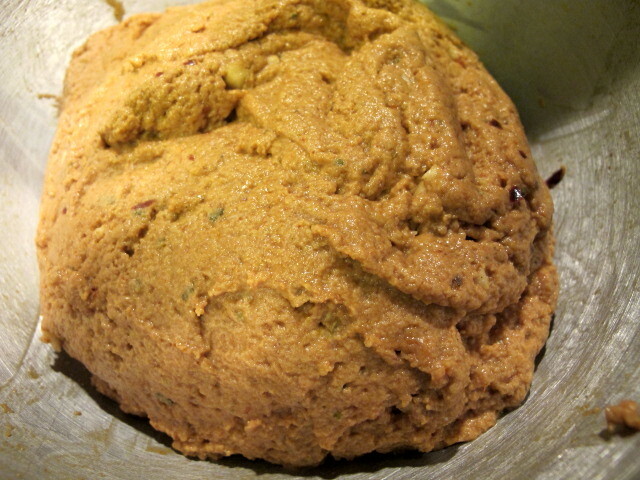 Once the dough is ready, divide it into six equal pieces. 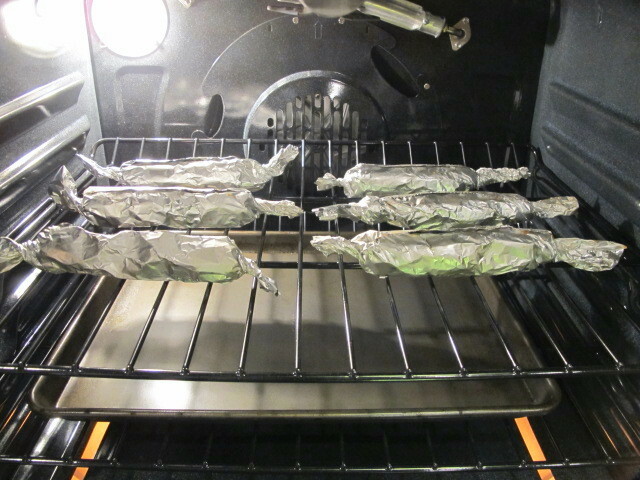 Place each piece onto the aluminum foil and shape it into a log (about 6 inches long and 1 1/2 inches wide). 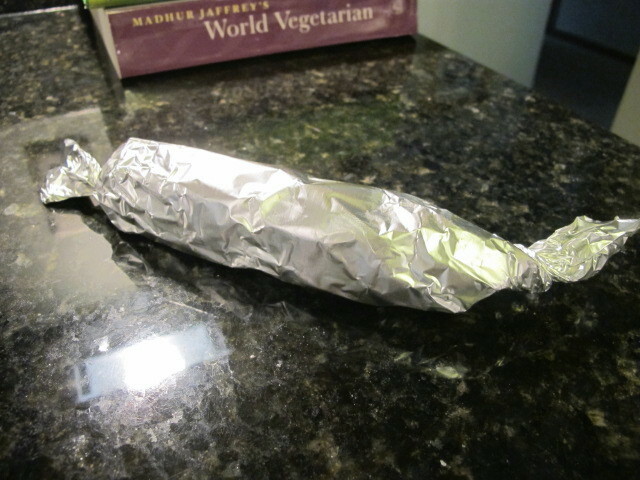 Wrap the foil around the dough to form a sausage shape. 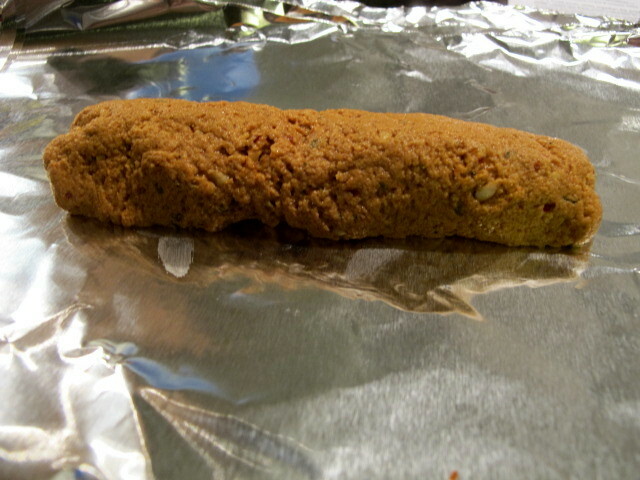 Leave a little bit of room because the sausage can expand while it is baking. Twist the foil loosely at the end and place directly on the middle baking rack. Bake for 35 minutes. After that, cool the chorizo sausages for at least 40 minutes before using. Chipotle Chorizo: Replace half of the tomato paste with chipotles en adobo. You can take out the seeds if you want a less spicy chorizo. A very yummy recipe!! 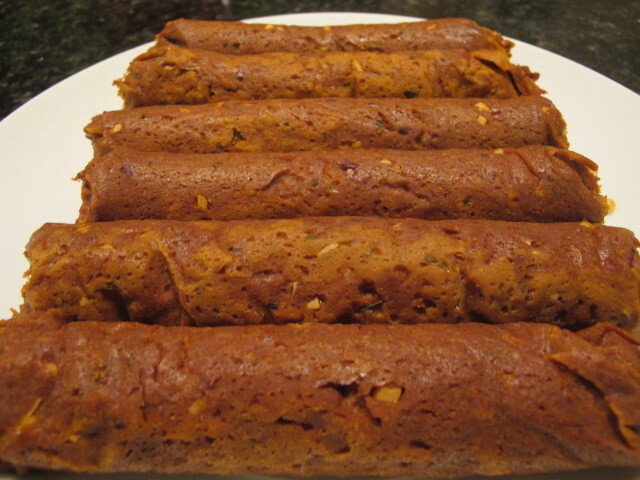 To find good vegan sausages is so difficult, so this recipe is gold!! It’s interesting by the way, that nutritional yeast goes with it. Recently, I experimented around with it (see for example: http://leckerbiss.wordpress.com/2014/10/31/spicing-stuffed-bell-pepper-with-nutritional-yeast-believe-it-is-a-good-idea/ or http://leckerbiss.wordpress.com/2014/11/15/the-ice-cream-bavarian-greetings-a-100-vegan-recipe/) and generally had trouble using it as an “meat substitute”. It rather tastes like beer… Do you have some more recommendations what nutritional yeast goes with?